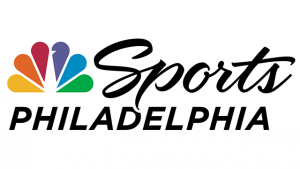 NBC Sports Philadelphia posted its best finish ever in 2018, as the third most-watched RSN in total day and primetime households (HH), according to Nielsen Media Research. NBC Sports Philadelphia moved up three spots from 2017. NBC Sports Bay Area and NBC Chicago also placed in the Top 10, ranking fifth and eighth, respectively. As the number three RSN in the nation in primetime (M-Su/7-11pm), NBC Sports Philadelphia averaged nearly 41,000 household impressions a night in the market from January 1 through December 31, 2018. Following the 2017-18 season (which was the Sixers’ highest-rated since the 2011-12 season) Sixers ratings have continued to grow – pacing up 16% during the current 2018-19 season. NBC Sports Philadelphia registered a 6.2 HH overnight rating on November 14, when Jimmy Butler made his Sixers’ debut against the Orlando Magic, making it the highest rated Sixers game since 2001. Sixers playoff ratings (April 14-14, 2018) averaged a 6.8 HH rating, the highest postseason rating since 2012. Sixers streaming uniques are up 63%, and average streaming minutes are up 77% versus last year. Sixers homepage views on NBCSportsPhiladelphia.com are up 36%. Phillies household ratings are up 26% over 2017. Phillies streaming uniques are up 224%, and average streaming minutes are up 227%. Phillies homepage views on NBCSportsPhiladelphia.com are up 54%. Flyers streaming uniques are up 44%, average streaming minutes are up 48%. Flyers homepage views on NBCSportsPhiladelphia.com are up 31%. In 2018, NBC Sports Philadelphia debuted new programs and products including – The Mike Missanelli Show, Sixers Outsiders, and the digital exclusive The Swipe on Instagram, plus the new MyTeams app, and Philly Pass – a new Direct to Consumer product, targeting out of market Philly sports fans.